ON THE GO OC - Things to do with your family. : Ruby's Diner Thanks Our Heroes on Veterans Day with a Special Treat! Ruby's Diner Thanks Our Heroes on Veterans Day with a Special Treat! Ruby’s Diner Thanks Our Veterans and Active Military Service Members with a Complimentary Meal for Breakfast, Lunch or Dinner on Veterans Day! Ruby’s Diner would like to thank service men and women for their dedication and service to our country this Veterans Day. Follow along and tag your pics with #RubysDiner . 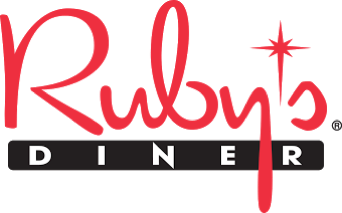 All veterans and active duty members of the military are invited to enjoy a Ruby’s adult entrée on the house on Saturday, November 11, 2017 at participating locations. The complimentary meal options include a Two Eggs Combo Breakfast with a choice of thick-cut bacon, turkey bacon, lean country ham, club sausage links, veggie sausage or turkey sausage (available until 11:30 a.m.); or the Classic Ruby Burger topped with crisp lettuce, tomato, RubySauce and choice of double thick American cheese, Swiss, cheddar, bleu cheese, pepper jack or low-fat American cheese (available open to close). Takes place on Saturday, November 11, 2017 Valid for dine-in only. 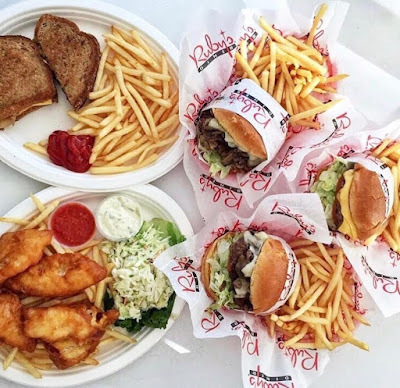 Complimentary Ruby Burger & Fries (valued up to $9.99) available open to close. Thank you all for your service and thank you Ruby's for the support to our Heroes! Happy Easting, Thank you for your service past, present and future!